Last month saw our Autumn 2015 Members Edusocial, held at the beautiful Charlotte Street Hotel, London. The event was fully booked within days of being announced and we had a fantastic turn out on the night. So a huge thank you to all of our GP and specialist members who attended and contributed to its success. It was an evening of great presentations and inspiring conversations. The evening began with guests mingling over drinks and canapés in an informal and relaxed atmosphere. 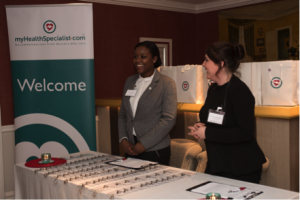 It was a delight to see new connections being made, information being swapped and knowledge being shared. 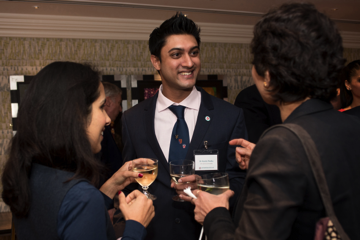 Our CEO, Dr Kartik Modha, led the evening’s presentations with a warm welcome from myHealthSpecialist. Since we launched in 2013, our member community has grown to over 2,500 GPs and specialists, and the website has recorded over 350,000 profiles views – with 40,000 of these occurring in the last month alone. It has helped thousands of patients connect with the most appropriate specialists for their healthcare needs. All of this has been made possible by our members, who have taken the time to share recommendations from many years of clinical experience. Dr Modha communicated our vision for improving connections between primary and secondary care and for building a community that believes strongly in clinical excellence. Together we hope to push boundaries in the pursuit of better patient care. 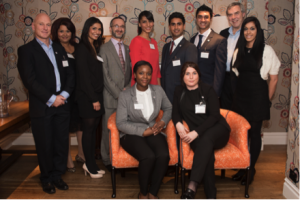 Dr Modha was very proud to announce our association with the Royal Medical Benevolent Fund (RMBF), a charity that supports medical students and doctors during difficult times. 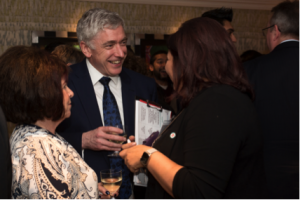 He had the pleasure of welcoming Mr Steve Crone, CEO of the RMBF, who shared a few words about the wonderful work they are doing. We were shown a video of medical students and clinicians who had benefited from the RMBF and saw how they had been supported through some very challenging times. 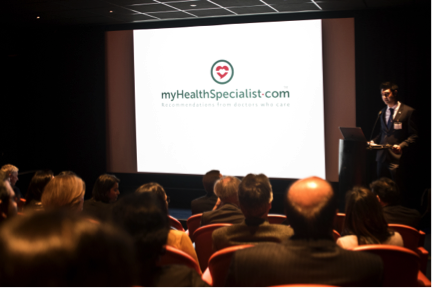 Together with the help of our members, we are proud to be supporting this incredible work; for every recommendation shared on myHealthSpecialist.com a donation is made to the RMBF. Members were also keen to support the charity directly through the RMBF President’s Appeal. 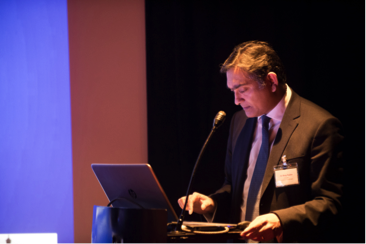 Our first guest speaker was the highly respected Dr Roby Rakhit, Clinical Director and Head of Cardiology at the Royal Free Hospital. 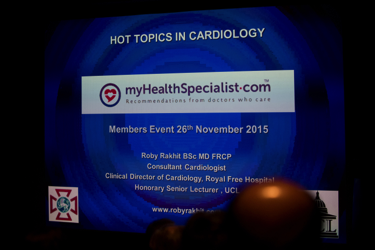 Dr Rakhit took a refreshing and pragmatic approach to communicating ‘Hot topics in cardiology’ by sharing his responses to GPs’ frequently asked questions. 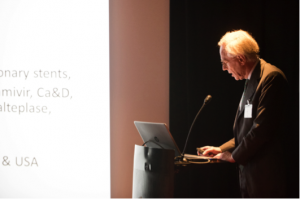 It was an extremely well-received format that offered clear, practical advice on how to treat conditions of interest in primary care and when to consider referring – all supported by clinical guidelines, research and his professional experience. 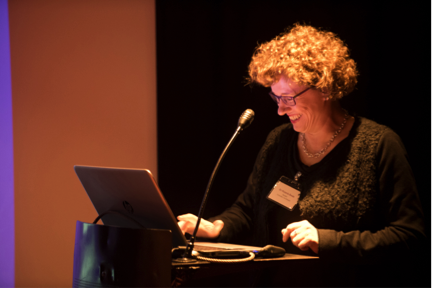 The very experienced Dr Victoria Swale, Consultant Dermatologist at the Royal Free Hospital, then hosted a highly engaging and interactive session on ‘Pigmented lesions and vulval dermatology in primary care’. Through cases and discussion, the audience was guided through an interactive session on the clinical features and management of benign and malignant pigmented lesions and common vulval conditions. 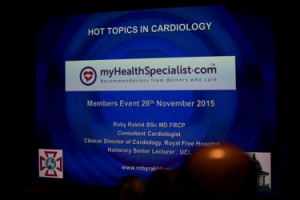 Dr Swale provided top tips and advice on when to refer and when to reassure in primary care. Our keynote speaker of the evening was Sir Richard Thompson, Consultant Physician, Past President of the Royal College of Physicians and past physician to the Queen. 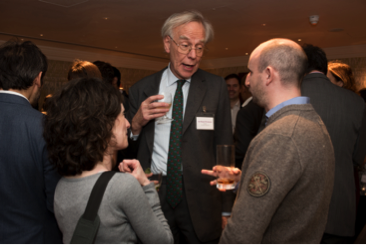 It was a great privilege to hear his perspective on ‘Challenges and solutions for the NHS’. Many thought-provoking points were raised, leading to some very interesting discussions. 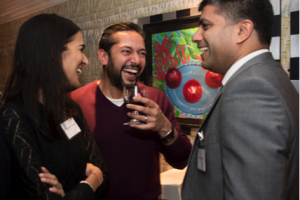 Following the presentations, drinks and delicious bowl food gave everyone another chance to connect with colleagues, make new acquaintances and catch up with our guest speakers. 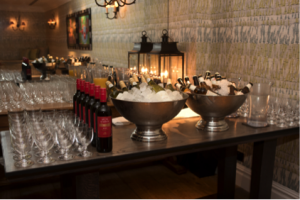 The questions, debate and laughter flowed late into the night and it was the team at Charlotte Street who had to eventually encourage us out into the crisp Autumn night’s air! All in all it was a fantastic evening, made so by the enthusiasm and support of our members. 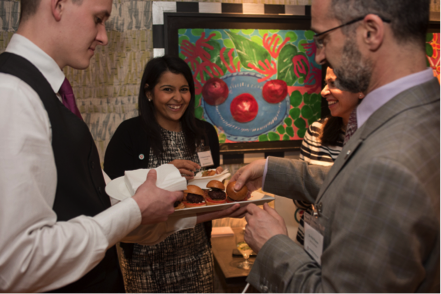 We look forward to seeing you all at our next members’ event in Summer 2016 (details to be announced). 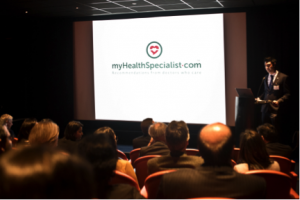 In the meantime, please continue to share your recommendations on myHealthSpecialist.com and connect patients to the most relevant clinicians for their healthcare needs. Share your experiences, thoughts and expertise with our GP and specialist community! If you’re keen to write a short article for us and share valuable insights for healthcare in your local area, we’d love to hear from you. We’re now collecting interesting articles, educational and opinion pieces, so please contact us!